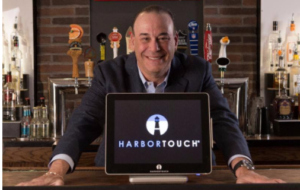 Harbortouch is very excited to announce a major partnership with Jon Taffer, Executive Producer and Host of Spike TV’s “Bar Rescue” and ABC’s upcoming “Extreme Makeover Restaurant Edition” as well as the foremost expert in the hospitality industry. Taffer has officially endorsed our POS systems and will collaborate with Harbortouch to develop the industry’s first “smart” POS (sPOS) system. The collaboration will enable Harbortouch to integrate powerful revenue generating tools, based on Taffer’s extensive industry experience, into our Elite POS systems. This includes the already successful Jon Taffer designed BarHQ software tools. With over three decades of hands-on experience, Taffer is a two-time winner of the Bar Operator of the Year award, among a myriad of other honors, and his management methodology, Reaction Management, has become the gold standard of the industry. In 2010, Jon was appointed President of Nightclub & Bar Media Group where he oversaw the Nightclub & Bar Convention Trade Show. He also sat on its board of directors and serves as a consultant and development advisor to major restaurants, nightclubs and hotels worldwide. He is also credited with creating the NFL Sunday Ticket package while serving a three-year term on the board of NFL Enterprises. Harbortouch’s sPOS systems will bring together technology and industry expertise in a way that has never been done before. Harbortouch POS systems deliver countless benefits in terms of improved efficiency and streamlined operations, and now these features will be combined with powerful tools, including valuable analytics, training videos and revenue-generating promotions. This new sPOS solution integrated with business intelligence tools, will have a direct impact on merchant topline sales by increasing both customer frequency and spend per visit.